Team coaches know that communicating with athletes, creating schedules, and reviewing workouts on a daily basis can be a struggle. 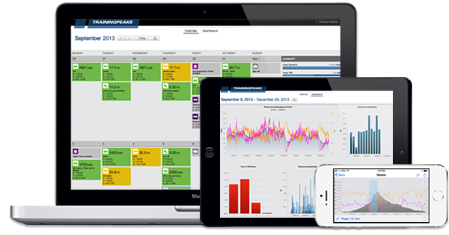 TrainingPeaks is a single solution to all of these issues, allowing you to coach effectively and efficiently. Communicate with one or all of your athletes with a single message. Review and analyze the performance gains of each team member. Using TrainingPeaks Mobile app, you can review and modify schedules, analyze workouts, and communicate to your athletes. TrainingPeaks has made it easy for athletes to upload workouts, so you have full records of every session. Developed by Olympian and 8x National Champion Adam Goucher and Elite Coach Tim Catalano. Six high school specific cross country plans for all abilities. How-To Guides covering goal setting, mental training, race day routines, and more. Instructional videos including drills, exercises and strength routines.